Play our Little Lottery for your chance to win a slice of the prize money. Being almost entirely reliant on voluntary income to safeguard our vital service into the future, you joining the Little Lotto 50/50 club will certainly help us. 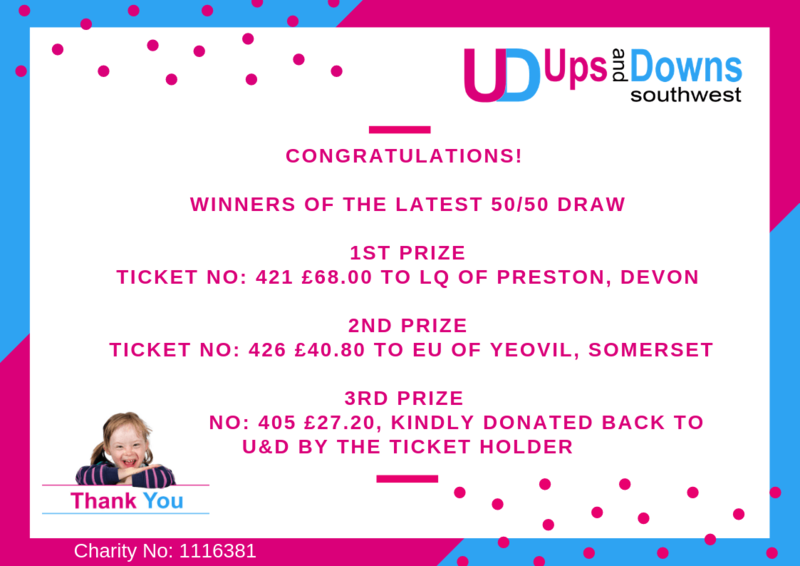 While not as big as the major lotteries and the prize money is not as big, by taking part in our lottery you do know that your money is directly helping children and young people with Down Syndrome have a better future. Tickets for the Little Lotto 50/50 club cost £1 each. You can buy as many as you like on a recurring monthly basis. The draw is held monthly. A single play each month will cost just £1, and your unique lottery number will be entered into the monthly draw. You are automatically notified if you win – you do not have to make a claim. Players must be resident in the UK. The monthly fee is £1 per entry. Members of the Little Lotto 50/50 club must be over 16 years of age. There is no restriction on the number of entries you may purchase. Each Monthly draw takes place in the Month following payment, once bank statements have been checked. Only paid entries in a month will be considered for the draw. Each draw is undertaken by our administrator and is witnessed. Winners will be notified shortly after the draw takes place. Any concerns or complaints relating to the running of the Little Lotto 50/50 club shall be directed to the Operations Manager or the Board of Trustees. Annual Subscription - £1:00 per month billed annually, £12:00. I have read and accepted the terms of the Little Lotto 50/50 club. 50p from every £1 covers the prize fund. 50p goes towards the costs of running Ups and Downs Southwest.